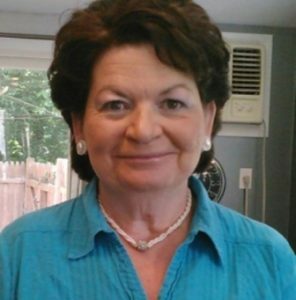 Grafton – Dora M. (LeBlanc) Harrington 64, a loving wife, mother, grandmother and beloved friend, passed away at home with her devoted family by her side Jan. 16, 2019 after a long illness. She leaves her husband, George B. Harrington of 47 years; three daughters, Barbara E. Gannon and her husband Raymond C. Gannon, Linda M. Rioux and her husband William Rioux, and Melissa A. Mahlert and her husband Donald R. Mahlert; her son, Joseph E. Harrington; her grandchildren, Rachel and Timothy Rioux, Raymond and Christopher Gannon, Joshua and Johnathan Harrington and Jocelyn Hackathon; and her siblings, Alice Bierch, Jeanne Angel, Ann Trottier, Alex, Roy, Robert and Thomas LeBlanc, along with multiple beloved nieces and nephews. She was predeceased by her parents, Edgar J. and Mary L. (Miller) Leblanc of Millbury, and her, Rita Jakubiak, Loretta, Linda, Raymond and William LeBlanc and Rose Moore Thibault. She was born April 23, 1954 in Worcester, raised in Millbury and attended Millbury schools. She worked as a CNA and laundry aid at Millbury Providence House Nursing Home and Lydia Taft, where she was beloved by all whom she cared for. She loved snow globes, tulips, enjoyed scenic rides, summer vacations in Maine, going to breakfast, bird watching, puzzles and occasional visits to the casino. Most of all, she loved spending time with her family and beloved pets Loki and Asha. A prayer service will be held Thursday, Jan. 24, beginning at 11 a.m., at The Baptist Church of Grafton, 1 South St., followed by a Celebration of Life reception at the American Legion, 69 Worcester St., Grafton. Dora was a dedicated St. Jude Children’s Hospital monthly donor. In Lieu of flowers, please honor her with a donation at www.stjude.org/donate.